Sachin Bansal (born August 5, 1981) is an Indian Software engineer and Internet entrepreneur.He is known for Co-founding India’s largest e-commerce platform Flipkart. Moreover, he is from Chandigarh and has graduated from the Indian Institute of Technology Delhi, with a degree in computer engineering. Featuring in the 2012 Forbes Global 40 under 40 list, along with his co-founder Binny Bansal, is a big milestone for the young entrepreneur. At such young age he has achieved so much and plans to take his company to next level. Flipkart is largest online retailer founded in 2007, by Sachin and Binny Bansal and headquartered in Bangalore, Karnataka. Other than selling products from other manufacturers Flipkart has launched its own product range under the name “DigiFlip”, offering camera bags, pen-drives, headphones, computer accessories, etc. We all witnessed the success of Flipkart and how it reduced the competition to dust but little known is the secret strategy Flipkart deployed for the tremendous success. 4) Standardization of Courier service. 5) Building consumer trust in online buying. 6) Leveraging Social media Like Facebook and Twitter to create hype around new launches. 7) Created a platform for Users to share product reviews – (Flipkart consumer reviews very informative). 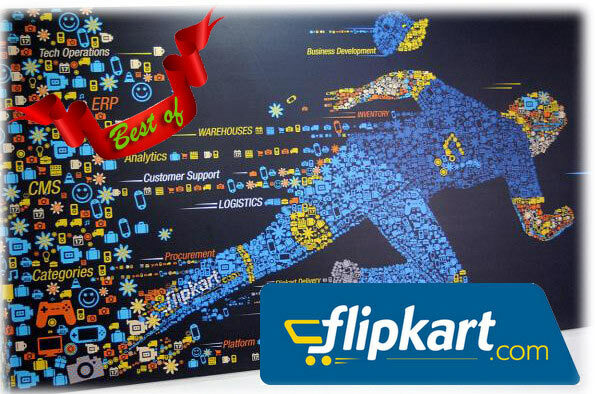 8) Flipkart Coupons & Contests for making new products successful. 9) Mobile Commerce and beautifully designed Mobile App. In an Interview when asked to Binny Bansal- What did you do to educate the buyers and remove the phobia associated with online purchases? 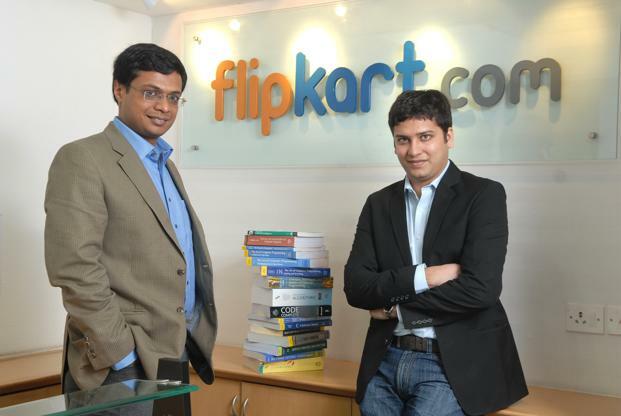 These are some of the great things Sachin Bansal did to make Flipkart achieve tremendous success. How Much Does Sachin and Binny Bansal Earn? 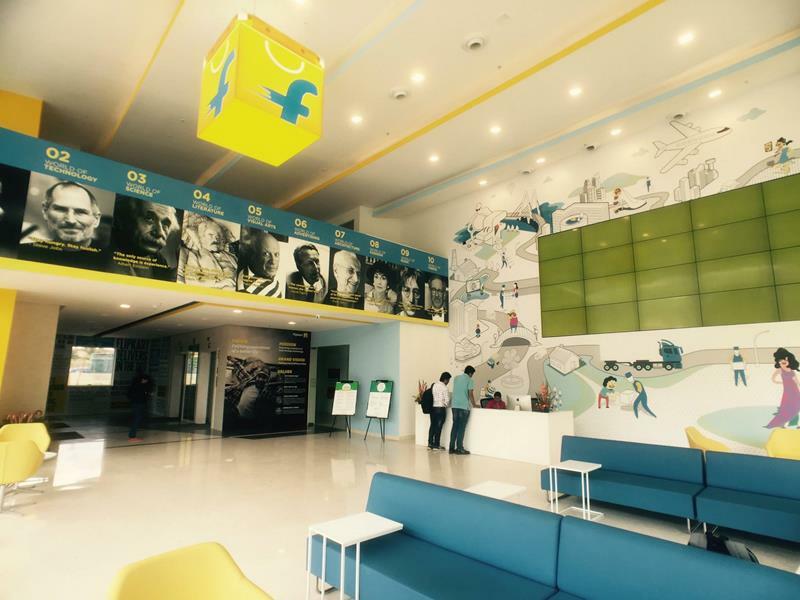 Flipkart Owners Salary is one of highest remuneration in Indian corporate world and that too at this age. This has inspired young entrepreneurs to launch online e-commerce websites- After less than six years of starting Flipkart Sachin Bansal and Binny Bansal took home a handsome remuneration of Rs 10.25 core each in 2013. Adding to the inorganic growth of the organization Flipkart acquired Myntra. A masterstroke to rapidly expand in the clothing and fashion segment that was not Flipkart’s Forte. 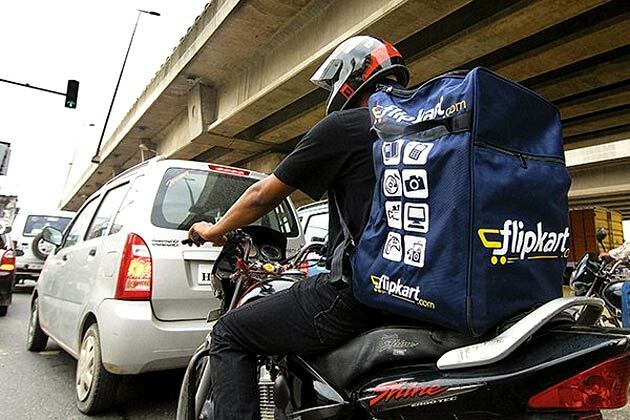 Flipkart is the largest player in the e-commerce market that is pegged to be valued at $3.1 billion. The shrewd acquisition has unquestionably helped the company endure to the top of the list and beat its adversaries like Amazon, eBay, and Snapdeal. Soon after acquiring fashion e-retailer Myntra for an estimated price of over $330 million, Flipkart has received funding worth $210 million from DST Global. The funding gives Flipkart money & power to negotiate with Global manufacturers like Motorola to offer deals which Flipkart thinks is suitable for success in the Indian Market. Moreover, in late 2017 there were talks of buying Snapdeal, that deal did not fell through. Certainly with so much happening on the positive side “we can see that Flipkart ke Aache Din aa Gaye Hain”. Coming back to the strategy of Flipkart – I will share what they did differently with the smartphone sales which shook the entire handset industry and made Giants like Samsung to rethink its strategy. We know about Motorola India success but it’s a strategic case study to see how Flipkart used Motorola & vice versa to bleed Samsung, Micromax & Xolo in the price conscious Indian market. HTC & Apple don’t compete in the mass market. Flipkart marched way ahead of the competition – Snapdeal and Amazon by selling a good percentage of 6.5 million phones in 2014 that Motorola shipped globally. Special thanks to Moto G & Moto E for the phenomenon success. Neither Motorola nor Flipkart ever dreamed of the success they had in the Indian Market. There are factors like the best value for money offering from Motorola & exceptional service by Flipkart that made the combo tremendously successful. There were some 9,800 reviews on Flipkart (the only seller of Motorola Mobility products in India) and the average rating was about 4.6 (on a scale of 5). This tells us the scale and popularity of the handset in Indian Market. Estimated numbers for Moto G monthly sales is difficult to predict neither officially disclosed by Motorola or Flipkart but estimated guess on the conservative side is around 7,00,000 to 1000,000 handsets being sold since its launch in India. While we see that Moto E is out of stock intermittently same was the case with Moto G a few weeks back when it was launched. In the extremely competitive market where mobile manufacturers launch new handsets models every day. Motorola with 3 handset models is dominating every other manufacturer like there is no competition in the market. It also went out of stock in first 48 hours of launch though Flipkart had a stock of 100,000 handsets approx. This gives wings to the online retailer’s imagination and power to sell products with speed and reach to each and every corner of the country. Magnus Ahlqvist vice president, Motorola, who joined the company in August last year, tells how Motorola aims to take its highly successful only-online India strategy to other markets. “Flipkart gave Motorola the speed to reach the buyers and distribution to sell the handset to the rural & urban customer, helped them to sell gigantic volumes”. All the three smartphones offer one of the best value for Money in their respective segment. In fact, why Flipkart is able to create the buzz and sell high volume of handsets is because all the three handsets offer better value compared to handsets priced even 2-3 thousand higher to these models. Even a Moto-E which is priced @ Rs. 7000 offers latest Android experience(KitKat out of the box) which even like Samsung S4 was not able to offer @ the price of Rs. 30,000. Motorola strategy to sell directly to the subscriber and remove the high margin of distributors and retailers have helped them to keep the price significantly down when we compare to the competition. Motorola, as we know, was owned by Google before it was sold to Lenovo this year. It helped Motorola to push the latest version of OS and apps on its handset in 2013-2014 which sharpened the edge over the competition. On 29 January 2014, Google sold Motorola Mobility to Lenovo for US$2.91 billion in a cash-and-stock deal. The deal includes smartphone lines like the Moto X and Moto G and the DROID Ultra. Lenovo also got the future Motorola Mobility product roadmap. Now since Motorola is bought by Lenovo we will have to see what’s in store with MOTO X+1 and Moto gear 360. The online mobile sales are in vogue. Even long before Xiaomi India launch or even before Amazon starting selling mobiles, Flipkart created this new market along with Motorola. 10 Best Selling Smartphones on Flipkart and Amazon. 5 Most Popular Phones in India in 2017 – Xiaomi and Samsung Rules. How Xiaomi Became Number 2 In India (Fascinating Growth Story).